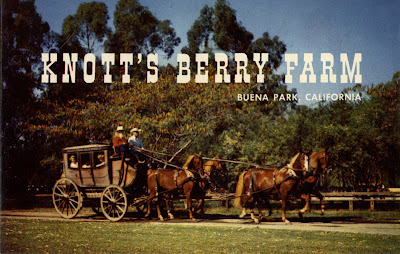 Time for another Knott’s Berry Farm Map. 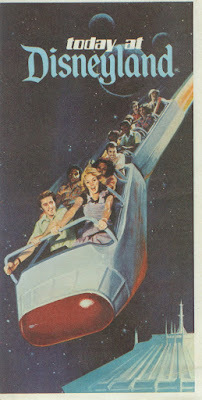 This one is not dated which drives me crazy, I would place it at 1980/81, maybe a little newer. Since the Motorcycle Chase in now the Wacky Soapbox Racers, this must be 1980 or newer. Check out a super post on the Wacky Racers at Outside the Berm (link). 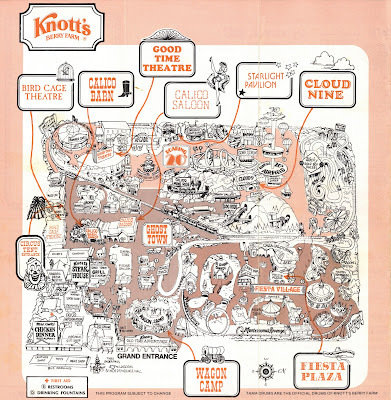 Major Pepperidge over at “Gorilla’s don’t Blog” made this comment on my last Knott’s map post: “I still have no idea where things are in relation to each other. 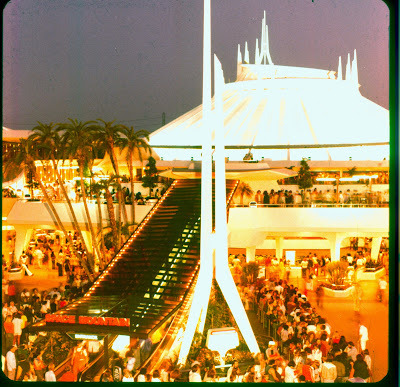 Unlike Disneyland, which I know a lot better!” This is so true! 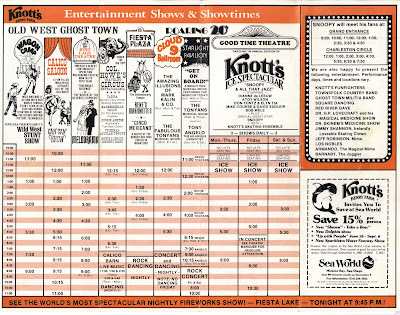 The last time I was at Knott's I was completely lost and I’ve been going since 1970! Plus these maps seem woefully out of proportion and the farm looks very different today. The amount of entertainment was amazing. Check out all the scheduled shows plus on the right is Snoopy in person and tons of “roaming” entertainment. 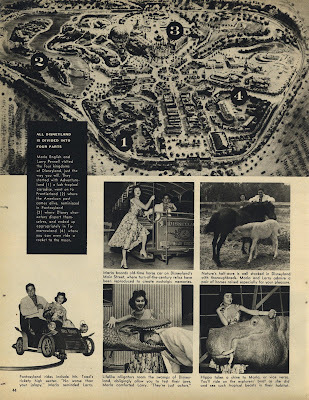 Does Knott’s have any entertainment like this today? 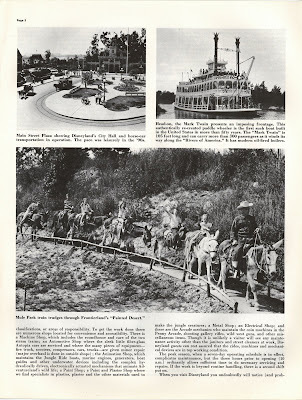 And of course this post need some color, so here a nice undated picture of the Stage Coach. Amazingly, the Stage Coach is still running at Knott’s! 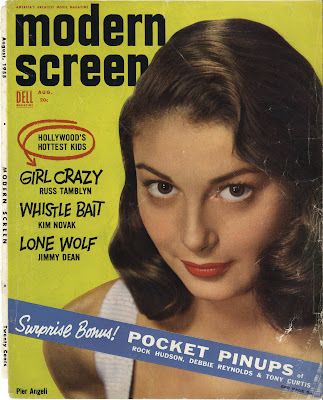 Taking a look at yet another Vintage Magazine, this time it’s Modern Screen from August 1955. 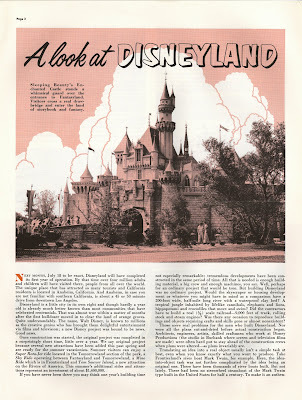 The Disneyland article inside is fun, but a little short and lacking in details and nomenclature. 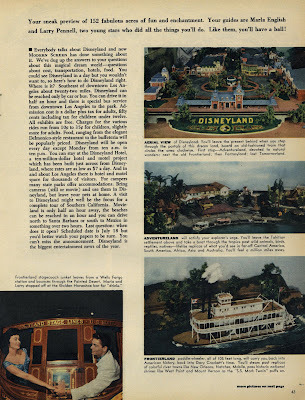 The rest of the magazine is splendid however; check out some of the articles/profiles down below after the Disneyland pages. The table of contents, I’ve pulled some of the highlights for this post, let me know if you see something you’d like to read. Yes I take requests! 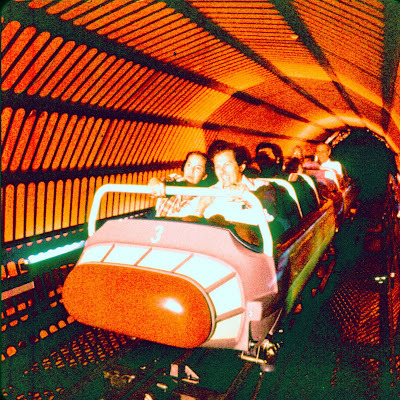 Who are Marla and Larry and why have they invaded this article on Disneyland? 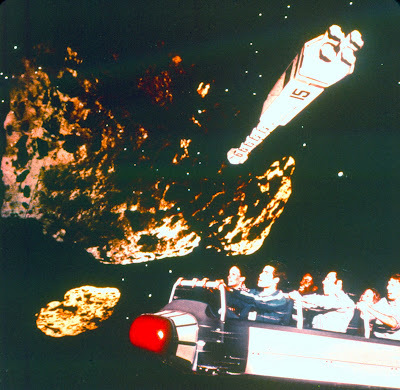 Neato models, it reminds me of the “Dioramas” we would make in grade school except mine were pretty lame. 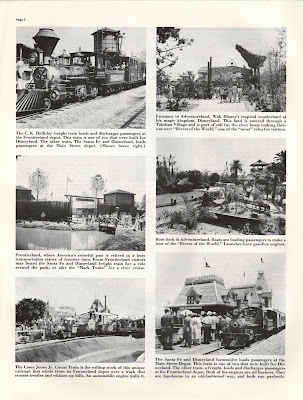 Some back stage photos, looks like the park wasn’t even open yet. 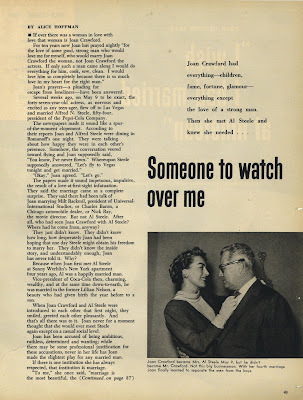 Here are a few two page articles or profiles on some of the big stars in August 1955. 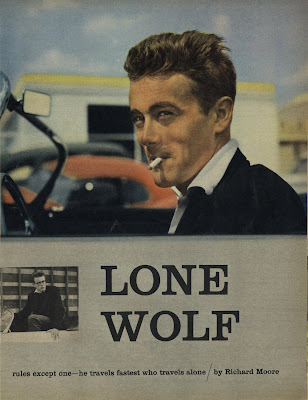 James Bryon Dean. Spooky focus on driving fast cars. If only I could whistle! 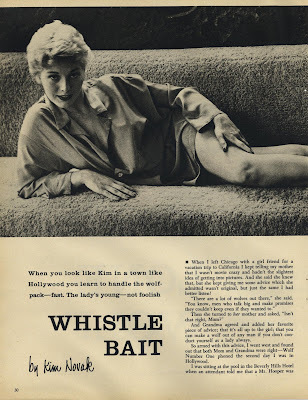 Kim Novak sure looks, um, well she sure does huh? 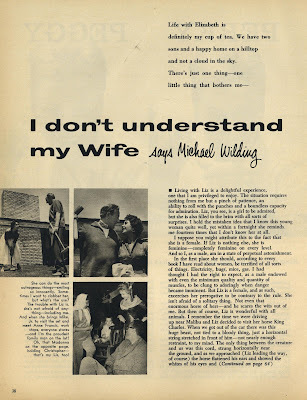 This article is obviously mis-titled; it should read “Why I don’t understand my Husband(s) says Liz Taylor". 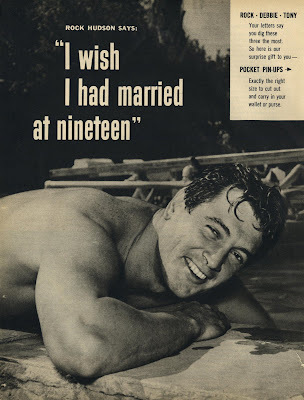 I'm not commenting here, you can add your own caption. Again, let me know if you’d like to see more of this magazine, maybe I’ll scan the whole thing for Bonus Sunday? 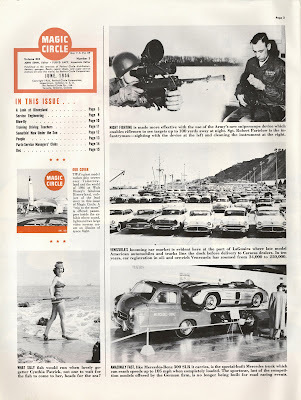 Please note the "Surprise Bonus Pocket Pinups" mentioned on the cover are missing from this magazine, rats! Super busy today so not much time to chat. 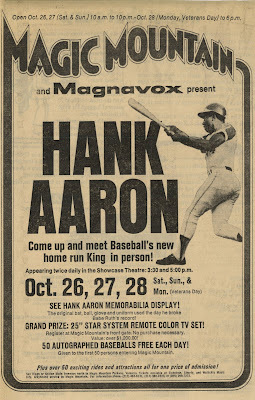 From October 28, 1973, I love these mini-posters!!! Welcome to Bonus Sunday. 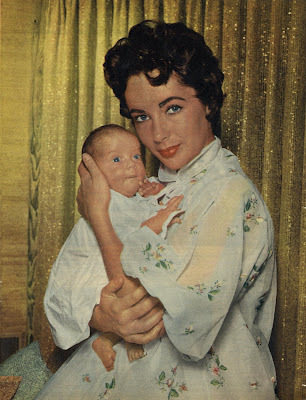 Today we’ve got two 1950’s gems for your reading pleasure. 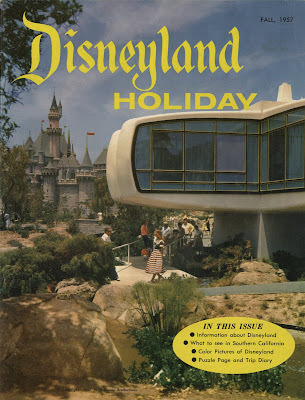 And this “just in”, I’ve been looking for this issue for some time, these early “Disneyland Holiday’s” are getting harder and harder to come by. This is a fun one, I sure do like the cover photo! 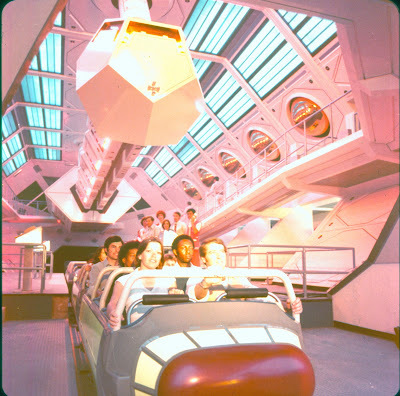 Don’t you just love the early Space Mountain art work? I sure do. 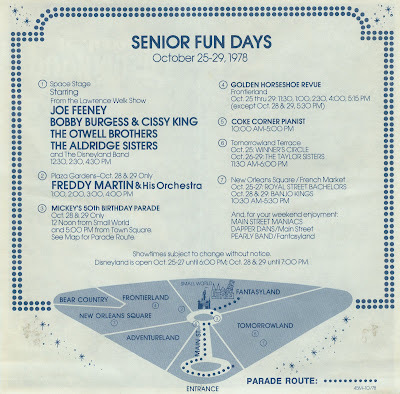 This flyer is from October 25-29, 1978. Senior Fun Days! I don’t recognize any of the special entertainment except “Lawrence Welk” and he’s not even there in person! In case you were curious, here’s the back of the flyer. 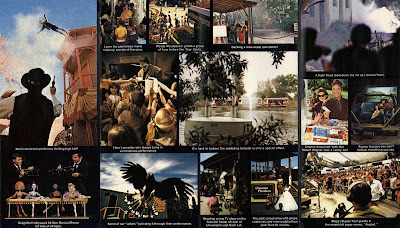 Today let’s take a look at a couple of vintage brochures from Universal Studios California. 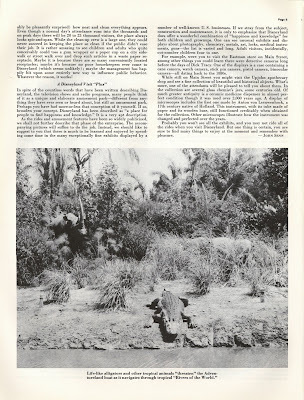 First from April 1968. 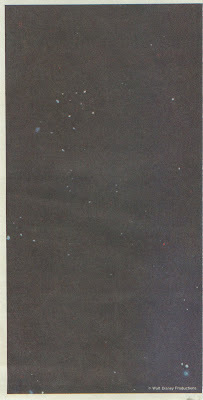 And from April 1971, I guess you still might have a chance at an encounter with Robert Wagner! I’ve decided to officially support a candidate for president, yup, I’m for "Winnie the Pooh for President (Days)". 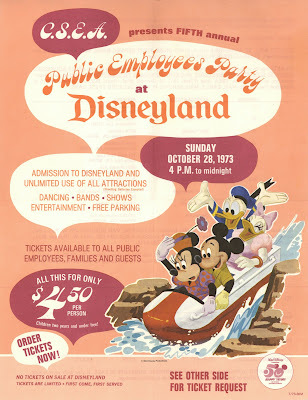 Let’s all attend the Fun Raising Rally and Pooh-Litical Convention on October 23-24, 1976. 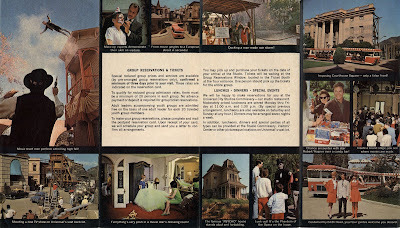 “The Children’s Pick in ‘76” and a “Tigger-Tape Parade” how cute. I want one of those Pooh for President posters! 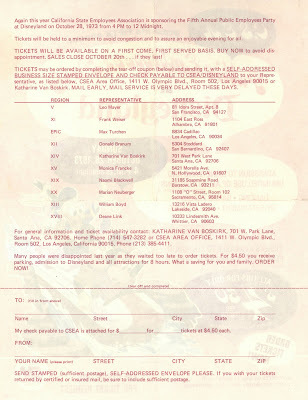 Here’s a Magic Kingdom Club complete ticket book from September 1976. Yes, I know, the MKC series is way overdue, it's coming soon. The ticket book includes eleven of these Magic Key Coupons, use them wisely. 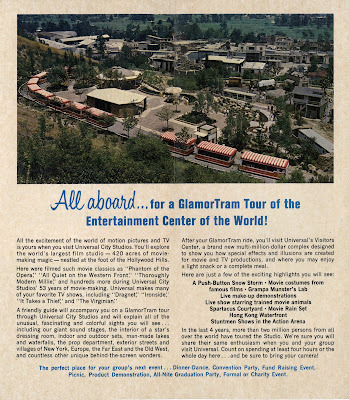 I can find eleven attractions to use my tickets, how about you? 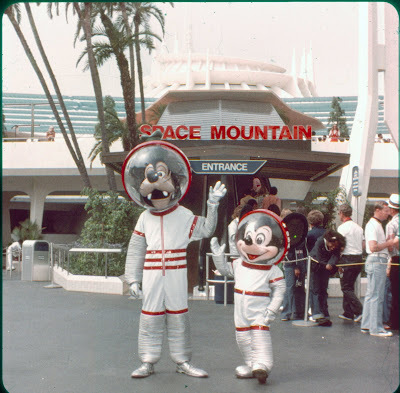 (Ok, I counted America Sings and Adventure thru Inner Space twice, each). Dumbo loves this deal, $6.25 for a $14.90 Value. 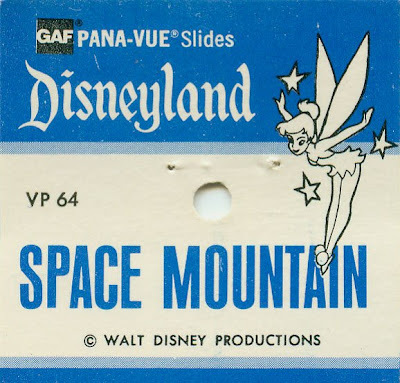 Speaking of “Value”, did you ever bother to do the math on these? 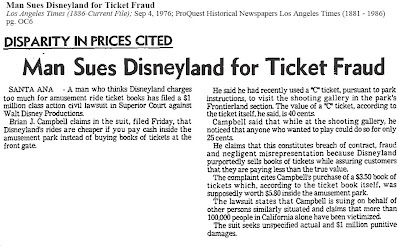 I haven’t (I do have a life) but a man in 1976 did do the math and in his opinion, the “Value” was over stated so he sued Disneyland! 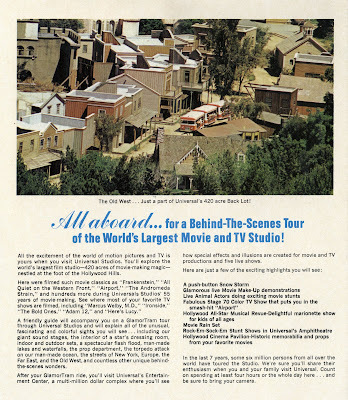 Progressland found this Los Angeles Times article from Sept 4, 1976 (thanks Jason!). Does anyone know what became of the law suit? 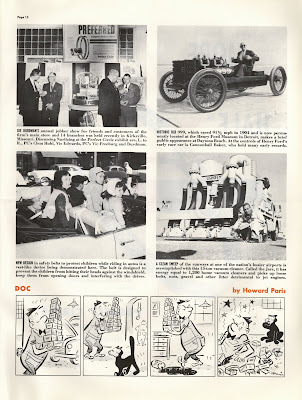 It’s been a little while since we’ve had a vintage magazine here on the blog so here we go. 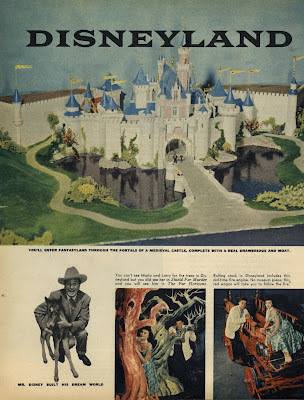 Disneyland was featured in quite a few different types of magazines in the early years. 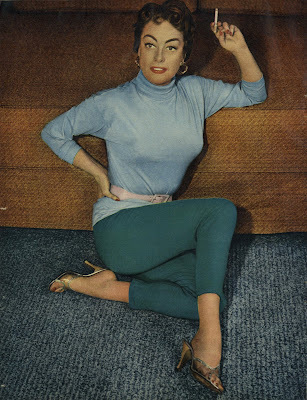 There’s plenty of vintage magazine still left in my collection, but as you will see the magazines will get more and more obscure. 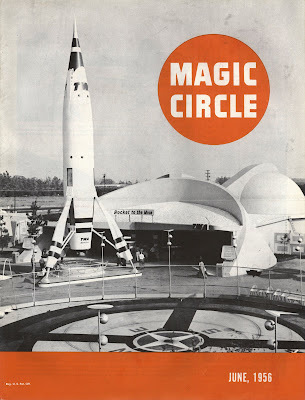 From June 1956 it’s “Magic Circle” magazine. 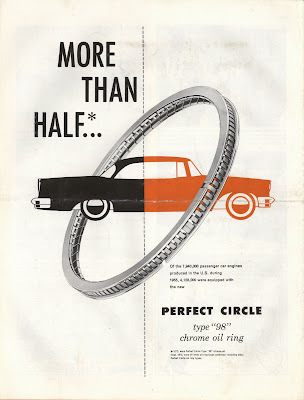 “Published in the interests of Perfect Circle distributors, dealers, garages, repair shops and super service stations all over the world, by Perfect Circle Corporation.” The back cover has an ad for Perfect Circle, they make piston rings! Great front cover. 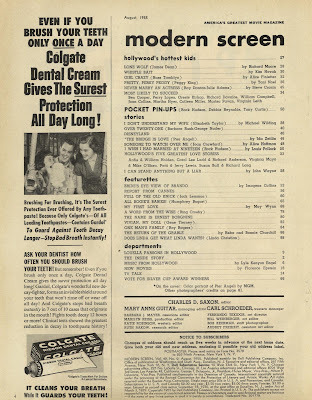 This magazine is “Life” size at about 10 ½” by 13 ½”, but with only 15 pages in this issue. 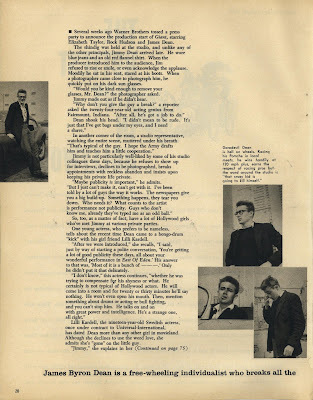 The inside of the front cover. My first car in 1980 was a 1956 Buick just like the one on the far left in the middle photo! Nice Mercedes setup and Cynthia Patrick looks mighty fine too. 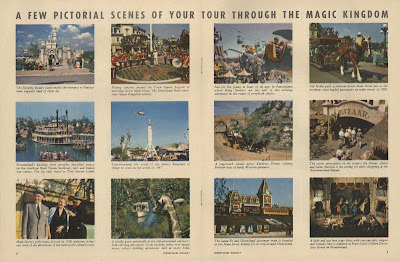 Now presented for your enjoyment, an interesting "look at" Disneyland as it looked and more importantly felt in 1956. 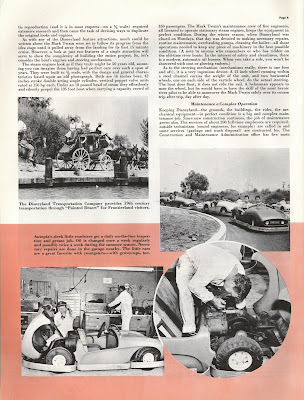 If you had trouble viewing the pages clearly, the entire magazine will be posted in a higher resolution (including those exciting articles on piston rings!) on Bonus Sunday.